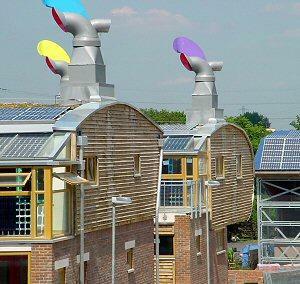 In December 2006, the UK government launched the Code for Sustainable Homes. The Code is a development guide for home designers and builders, and the national standard for the building of sustainable homes. It comprises an assessment and rating system aimed at improving the environmental impact of new homes by introducing minimum standards in nine areas, including the use of energy, carbon dioxide and water. 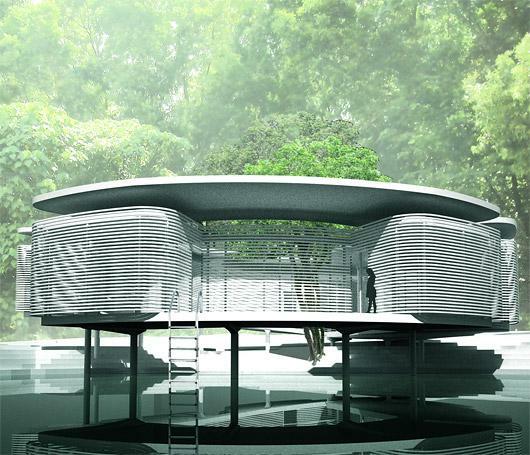 In 2007, eight designers were asked to submit two designs for an international competition for Zero Energy Housing, on six sites in the middle of Sentul Park in Kuala Lumpur, Malaysia. From sixteen designs six designs were chosen to be constructed. The project is envisaged as one of the the first showcases of Sustainable Zero Energy Housing in the world. The competition brief called for houses that work in harmony with the environment, are made from renewable materials, create their own energy, and recycle water. Chicago-based Zoka Zola Architecture + Urban Design is one of the winning design teams whose proposal “Rafflesia House” was selected for construction. We searched and re-examined the ideas of the right balance between the connection of the building to the outside and the shelter the building provides from the outside elements: plants, creatures, rain, sun, wind, or heat. We designed this house with an interest to understand real human needs relieved from burdens of pre-assumptions, but with an intent to house the whole human complexity. 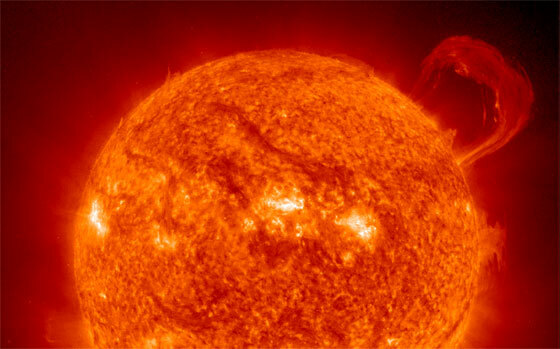 Extreme Ultraviolet Imaging Telescope (EIT) image of the sun with a huge, handle-shaped prominence, taken in 1999. While there is no evidence of a change trend in solar output over the past half century, long-term changes in solar output are not well-understood. This website presents a data-rich view of climate and a discussion of how that data fits together into the scientists' current picture of our changing climate. But there's a great deal that we don't know about the future of Earth's climate and how climate change will affect humans. For convenience and clarity, climate scientists separate things that affect climate change into two categories: forcings and feedbacks. Also, climate scientists often discuss "abrupt climate change," which includes the possibility of "tipping points" in the Earth's climate. Climate appears to have several states in which it is relatively stable over long periods of time. But when climate moves between those states, it can do so quickly (geologically speaking), in hundreds of years and even, in a handful of cases, in only a few decades. These rapid 'state changes' are what scientists mean by abrupt climate change. They are much more common at regional scales than at the global scale, but can be global. State changes have triggers, or "tipping points," that are related to feedback processes. In what's probably the single largest uncertainty in climate science, scientists don't have much confidence that they know what those triggers are. Below is an explanation of just a few other important uncertainties about climate change, organized according to the categories forcing and feedback. This list isn't exhaustive. 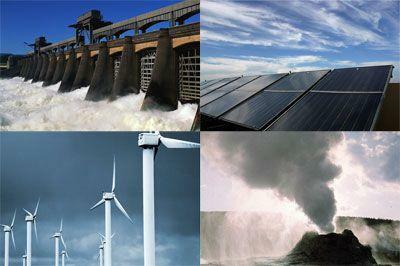 It is intended to illustrate the kinds of questions that scientists still ask about climate. 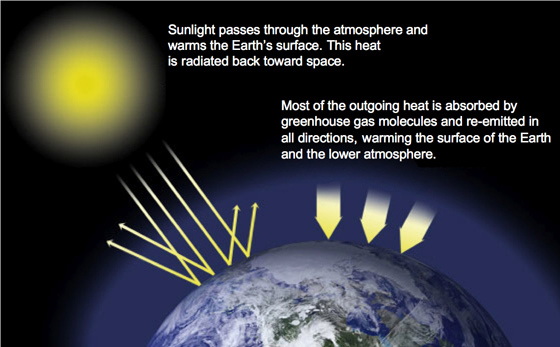 Most scientists agree the main cause of the current global warming trend is human expansion of the "greenhouse effect" -- warming that results when the atmosphere traps heat radiating from Earth toward space. Certain gases in the atmosphere behave like the glass on a greenhouse, allowing sunlight to enter, but blocking heat from escaping. Long-lived gases, remaining semi-permanently in the atmosphere, which do not respond physically or chemically to changes in temperature are described as "forcing" climate change whereas gases, such as water, which respond physically or chemically to changes in temperature are seen as "feedbacks." Water vapor. 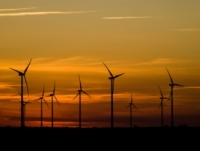 The most abundant greenhouse gas, but importantly, it acts as a feedback to the climate. Water vapor increases as the Earth's atmosphere warms, but so does the possibility of clouds and precipitation, making these some of the most important feedback mechanisms to the greenhouse effect. Carbon dioxide (CO2). A minor but very important component of the atmosphere, carbon dioxide is released through natural processes such as respiration and volcano eruptions and through human activities such as deforestation, land use changes, and burning fossil fuels. Humans have increased atmospheric CO2 concentration by a third since the Industrial Revolution began. This is the most important long-lived "forcing" of climate change. Chlorofluorocarbons (CFCs). Synthetic compounds of entirely of industrial origin used in a number of applications, but now largely regulated in production and release to the atmosphere by international agreement for their ability to contribute to destruction of the ozone layer. They are also greenhouse gases . 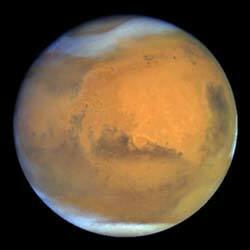 Not enough greenhouse effect: The planet Mars has a very thin atmosphere, nearly all carbon dioxide. Because of the low atmospheric pressure, and with little to no methane or water vapor to reinforce the weak greenhouse effect, Mars has a largely frozen surface that shows no evidence of life. 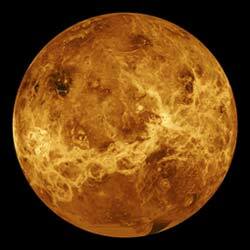 Too much greenhouse effect: The atmosphere of Venus, like Mars, is nearly all carbon dioxide. But Venus has about 300 times as much carbon dioxide in its atmosphere as Earth and Mars do, producing a runaway greenhouse effect and a surface temperature hot enough to melt lead. 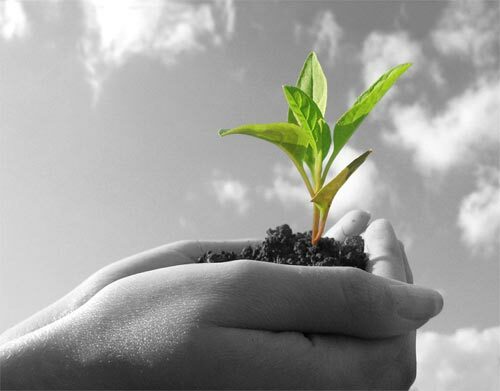 On Earth, human activities are changing the natural greenhouse. Over the last century the burning of fossil fuels like coal and oil has increased the concentration of atmospheric carbon dioxide (CO2). This happens because the coal or oil burning process combines carbon with oxygen in the air to make CO2. 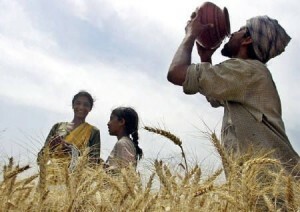 To a lesser extent, the clearing of land for agriculture, industry, and other human activities have increased concentrations of greenhouse gases. On average, Earth will become warmer. 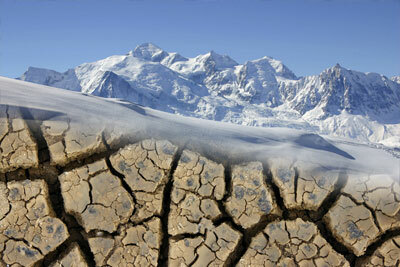 Some regions may welcome warmer temperatures, but others may not. Warmer conditions will probably lead to more evaporation and precipitation overall, but individual regions will vary, some becoming wetter and others dryer. 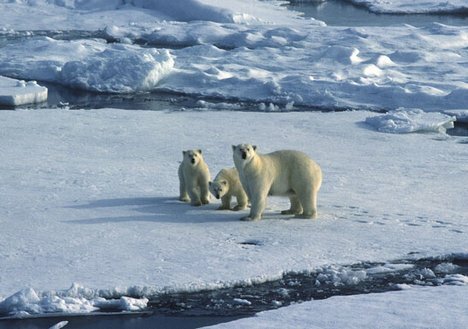 A stronger greenhouse effect will warm the oceans and partially melt glaciers and other ice, increasing sea level. Ocean water also will expand if it warms, contributing further to sea level rise. Meanwhile, some crops and other plants may respond favorably to increased atmospheric CO2, growing more vigorously and using water more efficiently. 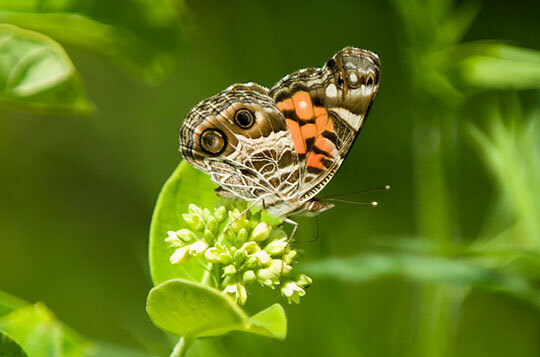 At the same time, higher temperatures and shifting climate patterns may change the areas where crops grow best and affect the makeup of natural plant communities. In its recently released Fourth Assessment Report, the Intergovernmental Panel on Climate Change, a group of 1,300 independent scientific experts from countries all over the world under the auspices of the United Nations, concluded there's a more than 90 percent probability that human activities over the past 250 years have warmed our planet. The industrial activities that our modern civilization depends upon have raised atmospheric carbon dioxide levels from 280 parts per million to 379 parts per million in the last 150 years. The panel also concluded there's a better than 90 percent probability that human-produced greenhouse gases such as carbon dioxide, methane and nitrous oxide have caused much of the observed increase in Earth's temperatures over the past 50 years. They said the rate of increase in global warming due to these gases is very likely to be unprecedented within the past 10,000 years or more. The panel's full Summary for Policymakers report is online at http://www.ipcc.ch/pdf/assessment-report/ar4/syr/ar4_syr_spm.pdf. Bonn, 11 April 2010 - The first round of UN climate change talks since the UN Climate Change Conference in Copenhagen at the end of 2009 concluded Sunday in Bonn with agreement to intensify the negotiating schedule in order to achieve a strong outcome in Mexico at the end of the year. In addition to the negotiating sessions already scheduled for 2010, governments decided at the Bonn April meeting to hold two additional sessions of at least one week each. The additional sessions will take place between the 32nd session of the UNFCCC Convention subsidiary bodies from 31 May to 11 June 2010 and the UN Climate Change Conference in Mexico from 29 November to 10 December 2010. The Ad Hoc Working Group on Long-term Cooperative Action under the Convention (AWG-LCA) invited its Chair to prepare, under her own responsibility, a text to facilitate negotiations among Parties, in time for the May/June sessions in Bonn. "At this meeting in Bonn, I have generally seen a strong desire to make progress," said UNFCCC Executive Secretary Yvo de Boer. "However, whilst more meeting time is important, it is itself not a recipe for success," he cautioned. The UN's top climate change official called on governments to overcome differences, and work for greater clarity on what can be decided in the course of 2010 in the UN Climate Change negotiations. "We need to decide what can be agreed at the end of this year in Cancún and what can be put off until later," he said. According to Mr. de Boer, negotiators must tackle three categories of issues in the course of this year: issues which were close to completion in Copenhagen and can be finalized at the UN Climate Change Conference in Cancún at the end of the year; issues where there are still considerable differences, but on which the Copenhagen Accord can provide important political guidance; and issues where governments are still far from agreement. "The UN Climate Change Conference in Cancún must do what Copenhagen did not achieve: It must finalize a functioning architecture for implementation that launches global climate action, across the board, especially in developing nations," said Yvo de Boer.